Dr. Harris, MD, is Director of the Division of Nephrology at Vanderbilt University Medical Center and Director of the Vanderbilt Center for Kidney Disease. The general focus of the Harris laboratory involves studies of regulation of renal epithelial cell growth and function during normal physiologic responses and after acute or chronic injury. Diabetes mellitus has become the single leading cause of chronic kidney disease in the world and is the most common cause of end-stage renal disease (ESRD) in industrialized countries. The incidence and prevalence of diabetes has increased over the past 25 years, due almost entirely to increases in type II diabetes. In the US, the prevalence of diabetes has increased from 6% of the population in 1988-94 to 9.8% in 2009-14. This rise in the prevalence of diabetes worldwide is multifactorial and has been attributed to increasing obesity due to decreased physical activity, institution of Western diets in developing countries, and the increased use of high fructose corn syrup as a sweetener. Despite the improved care of patients with diabetes, both the incidence and prevalence of ESRD secondary to diabetes continue to rise. 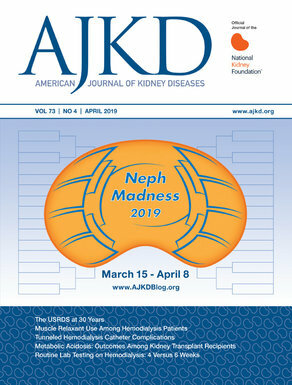 In the US, over 26% of individuals with diabetes have evidence of diabetic kidney disease, and more than 30% of patients undergoing either dialytic therapy or renal transplantation have ESRD as a result of diabetic nephropathy. Almost 50% of the incident cases of ESRD are attributable to diabetes. Currently, more than 200,000 patients receive ESRD care as a result of diabetic nephropathy. Studies in patients with both type I and type II diabetes have attributed the majority of their excess mortality to the presence of kidney disease. What can be considered the classic natural history of diabetic nephropathy was elucidated from patients with type I diabetes because their onset of diabetes is more clearly definable, typically occurs at an early enough age to permit long-term follow-up, and they are typically without initial concomitant comorbid conditions such as hypertension, obesity, or atherosclerotic cardiovascular disease. For the majority of patients with type II diabetes, the onset of nephropathy development is more variable. With a classic presentation of diabetic nephropathy, there is initial hyperfiltration, followed by the development of microalbuminuria that progresses to macroalbuminuria, and is accompanied by progressive, inexorable loss of renal function. The pathologic changes include increased glomerular basement membrane thickness and mesangial extracellular matrix, arteriolar hylanization, and glomerular sclerosis, frequently nodular. However, there is increasing evidence that this classic presentation does not account for many of the type II diabetic patients currently presenting with kidney disease. Microalbuminuria does not necessarily progress to macroalbuminuria, and decreasing renal function is not always accompanied by macroalbuminuria. A review of recent NHANES data (2001-2008) found that 52% of diabetic patients with reduced eGFR were normoalbuminuric. This phenotype was associated with a relative lack of retinopathy and was more common in older females with lower waist circumference but a greater degree of insulin resistance, lipid abnormalities, and a higher prevalence of metabolic syndrome. A recent biopsy series of type II diabetic patients with reduced eGFR found a classic pathologic presentation of patients with micro- or macroalbuminuria. In contrast, only half of the normoalbuminuric patients had typical glomerular lesions, and almost of these patients had arteriosclerosis. The causes of this changing natural history are still not completely understood. Changes in demographics, improved glycemic control, and increased use of RAAS inhibitors may all be factors. It has also been suggested that type II diabetic patients, older and with more co-morbidities, may be at increased risk for recurrent episodes of AKI, which may or may not be recognized clinically. Finally, many of these patients may have kidney disease resulting from macrovascular disease and/or hypertension rather than from diabetes per se. Read more about the Diabetic Nephropathy region.